Meiji THE chocolate want to make a uniquely Japanese chocolate to surprise the world. 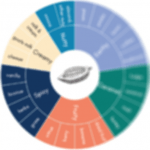 The cocoa bean is central to their philosophy, from sourcing the best beans to putting the bean on their packaging. Staff from Meiji personally visit the cocoa plantations overseas to inspect the plans, meet the farmers and taste test the beans. With constant communication, they are able to have the beans grown according to Meiji’s instructions. 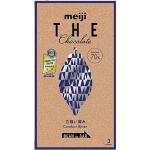 Meiji THE chocolate literally broke the mould for fine chocolate in Japan. Having the bar oriented vertically instead of horizontal was revolutionary, as was putting the cocoa pod on teh front instead of a picture of the chocolate itself.